After a glorious nights sleep aboard Spirit of Tasmania we disembarked bright and early in Devenport. 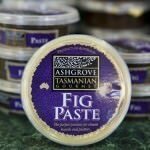 Both hubby and I were feeling refreshed and ready for the next stage of our Tasmanian adventure. 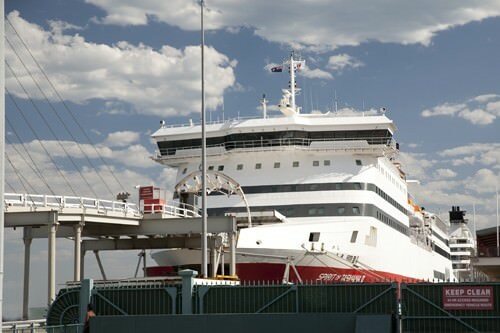 We had chosen to take Spirit of Tasmania rather than fly because we wanted to spend our time driving around Tasmania and exploring at our leisure. The drive from Devenport to Hobart takes in the area covered by the “Cradle to Coast Tasting Trail.” Today was set to be a day of sampling some gourmet Tasmanian produce with the assistance of the Cradle to Coast Tasting Trail’s smart phone app. 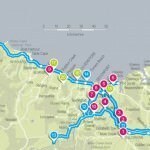 The app was designed to assist travellers in discovering the gourmet and boutique producers of North West Tasmania. I downloaded the Cradle to Coast app on my iPhone and allowed the program to map my location. The interactive map then advised what culinary points of interest were nearby. 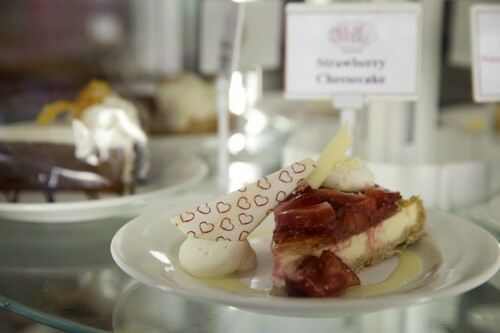 Users can choose to add the producer to a tasting itinerary or move on to the next supplier. 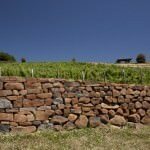 The app includes vineyards, sweet treats, fresh produce, cheeses, chocolates, food festivals and any other notable delights. 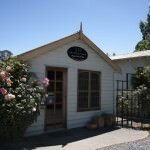 Our first stop on the Cradle to Coast Tasting Trail was to be the Christmas Hill Raspberry Farm, so I added this supplier to my itinerary in the app. As we approached the farm the app alarmed and reminded me that we were near a tasting opportunity. Very clever!! 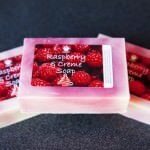 Christmas Hill Raspberry Farm is just 15 minutes drive from Devenport. We arrived at 7.30am hungry, and ready for breakfast. 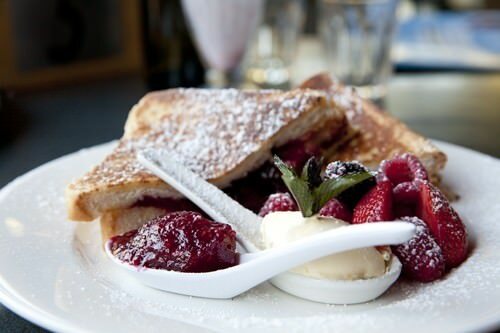 As we walked through the cafe door the intoxicating aroma of fresh berries greeted us. 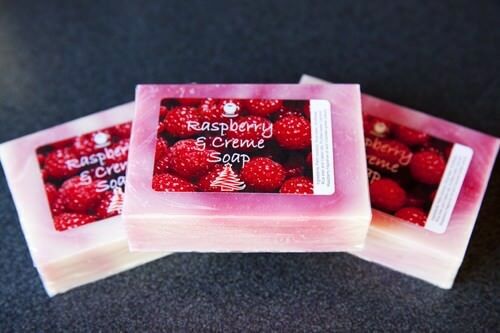 I was immediately drawn to the pink and white raspberry soap. 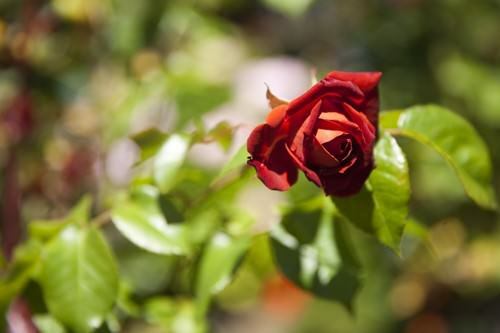 Although I could clearly smell the scent I still had to bring it to my nose and take a deep breath in… such a delicious perfume. I told hubby I would have to buy one for our little Anais as she just loves beautiful things. Also on display were a selection of jams, sauces and vinaigrette made from the berries. Mr GG and I made our way through the tasting samples oohing and aahing at the fresh flavours. The raspberry jam was particularly fruity and flavoursome. 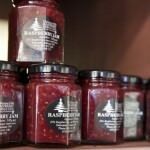 I always thought raspberry jam tasted the same from everywhere… but I was wrong. 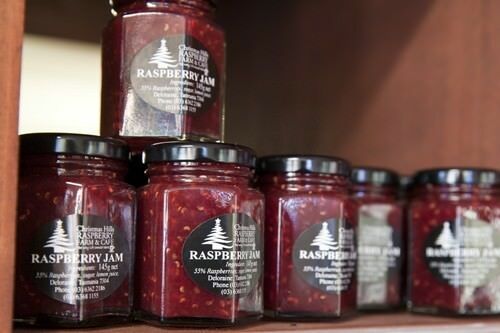 The Christmas Hill jam was so intensely fruity, with a level of tart that cut through the sweet fruit. It also wasn’t set like a typical jam. It wasn’t exactly a soft set jam but it was slightly more fluid in consistency than a mass produced jam. It certainly had nothing but delicious natural fruit flavour. I couldn’t resist purchasing a few of these for gifts… and one for myself of course. 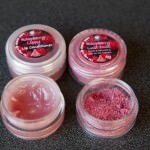 The other item on the tasting counter which caught my eye was something called “lust dust.” Hmm it sounds very magical doesn’t it! 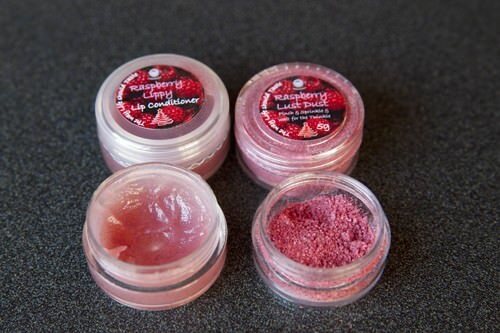 Lust dust is made by freeze drying raspberries and then forming a powder. It is so pretty and has a deliciously strong raspberry flavour. I noted that each of the cappuccinos being served had a sprinkling on the top, instead of the traditional chocolate. 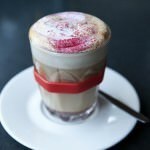 Given that everyone needs a bit of lust in their life I decided to sit down and order my morning cappuccino was a dusting of LUST! Breakfast was amazing and deserves to be included as a separate review, which will follow. Having eaten my weekly supply of antioxidant rich berries with breakfast, I decided a relaxing walk around the lake was in order. 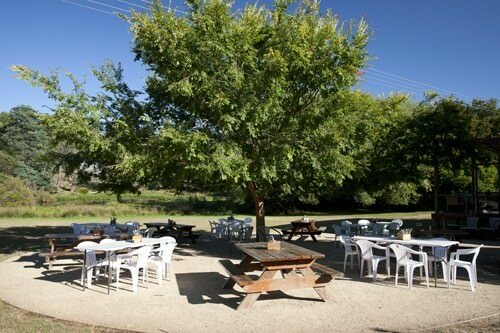 The raspberry farm is located in a such a picturesque location. We followed the self guided tour which included placards on post explaining the local flora and fauna. One sign told the history of an old buildings on the site, it had been a school house. Seems the original family had 7 children so a schoolhouse was needed on the property. Things like that constantly remind how much times of changed. We also disturbed a wallaby which hopped off into the distance before I could take it’s photograph. It was a lovely tranquil experience. 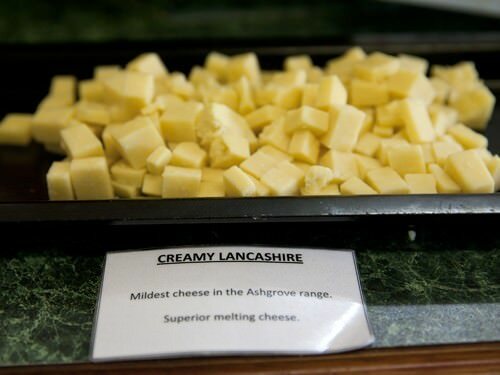 Ashgrove Cheese was next on our Cradle to Coast Tasting Trail. We were greeted by some very interesting looking cows upon arrival. 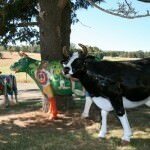 Fiberglass, lifesized cows scattered the property. They had been painted in all different designs, some in traditional cow colours others looking like they had been attacked by hippies. None of the cows seemed to mind the less than demure colours. 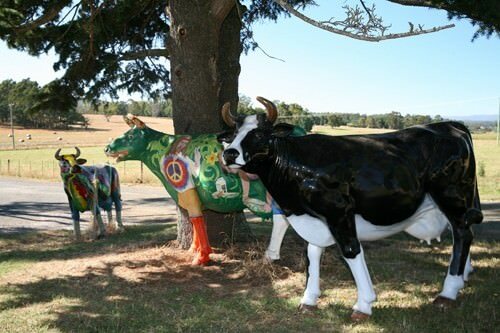 I later learned the painted cows were part of a local schools project held in 2008 as part of Agfest and sponsored by Ashgrove. 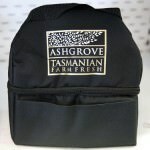 Ashgrove cheese is a family owned business. 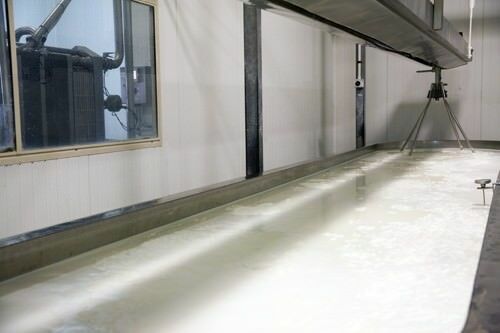 The Bennett family have been Tasmanian dairy farmers since the late 1800’s. 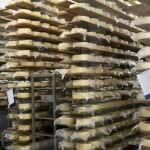 Twenty years ago the family decided to venture into cheese production as a means of value adding. 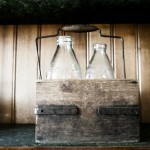 At that time farmers were receiving a very low price for their milk and this was seen as a means to counter falling milk prices. 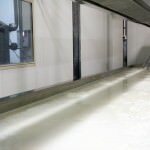 After a significant investment in machinery and technical “know how” Ashgrove Cheese was established starting with a traditional handmade Cheddar. 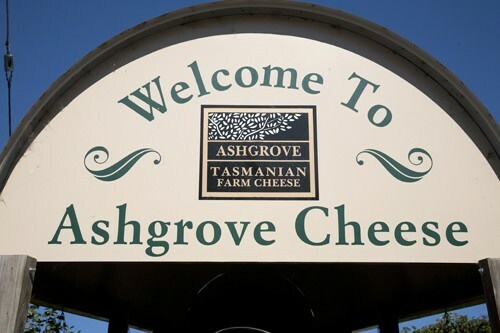 Ashgrove cheese is a tasty success story, since 2010 they have won more than 80 awards for their various cheeses and are a popular stop on the Cradle to Coast Tasting Trail. 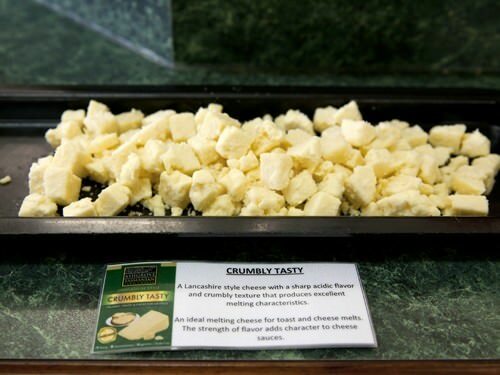 Each day a selection of cheeses are prepared for customers to sample. 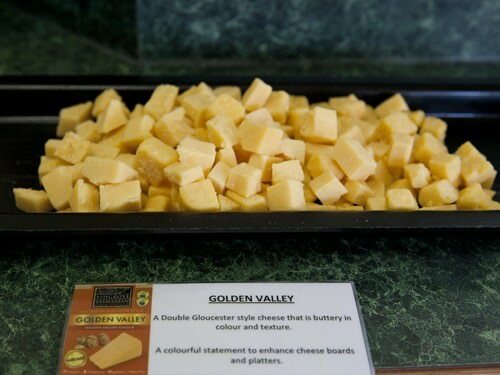 We started tasting with the mildest cheese, the creamy Lancashire and the moved onto the Double Gloucester Cheese. Both were delicious. 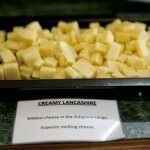 My favourite cheese on tasting was the crumbly Lancashire cheese, it had the lovely sharp flavour that I crave in a cheese, with a crumbly texture. 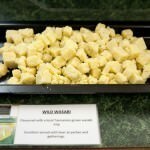 There were two interesting, flavoured cheeses available on the tasting table. 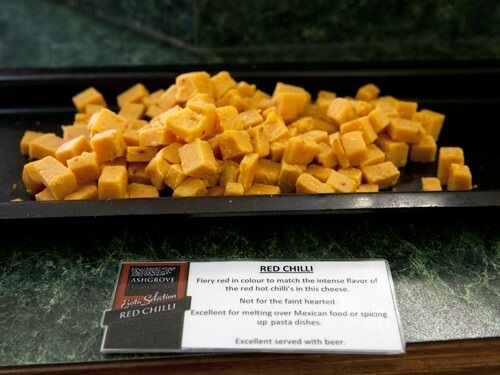 The first unusual cheese was flavoured with chilli. 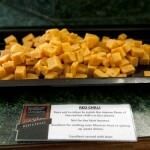 The tag warned this cheese would be firey and I have to agree, although the flavour was worth the kick. 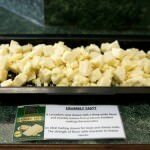 The label suggested that it would make a good cheese to accompany Mexican food and would melt deliciously! YUM! 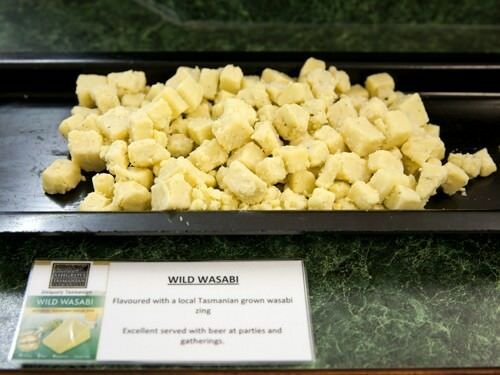 The final cheese had been flavoured using wild Tasmanian Wasabi… I didn’t even know that Tasmania had wasabi! This again was a uniquely flavoured cheese that would make an interesting addition to a cheese platter. It occured to me that we had all the makings of a very nice picnic in front of us. 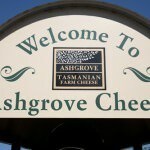 Ashgrove cheese even stocks locally made condiments and crackers so tourists and customers can stock up on provisions whilst doing the Cradle to Coast Tasting Trail. The temptation was too much for me and I managed to fill a cooler bag with tasty treats. 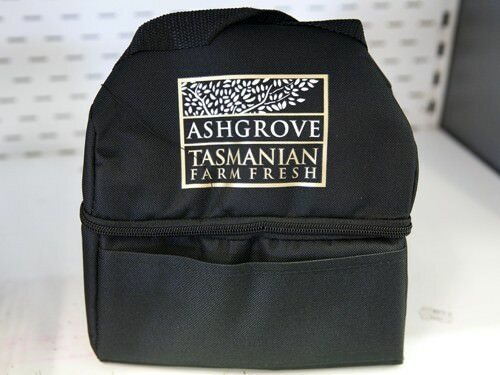 Ashgrove provides frozen ice-bricks with the cooler bag to keep your purchases cold. 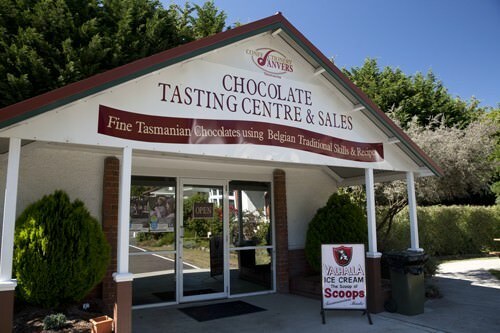 We hadn’t been driving long before the Cradle to Coast Tasting Trail app advised me we were nearing the House of Anvers Chocolate. 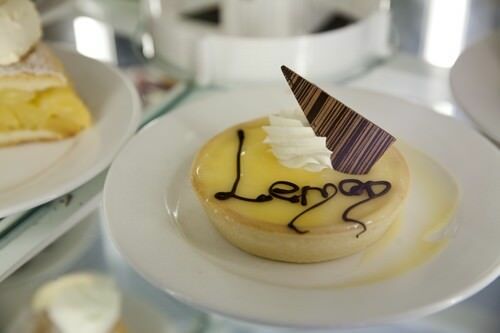 The House of Anvers Chocolates are featured on the dessert menu aboard the Spirit of Tasmania. 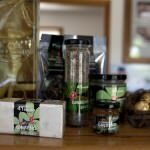 Hubby and I were looking forward to sampling more of the range. 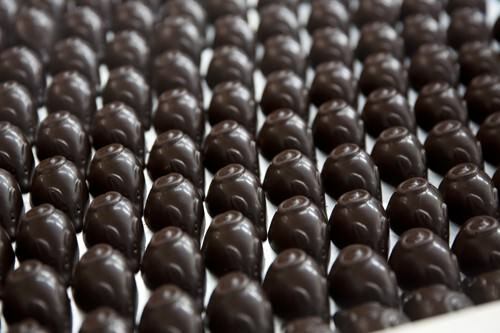 Anvers produce premium quality Belgium style chocolates under the watchful eye of chocolatier Igor Van Gerwen. Igor was Belgium born and trained, but made his home in Tasmania. 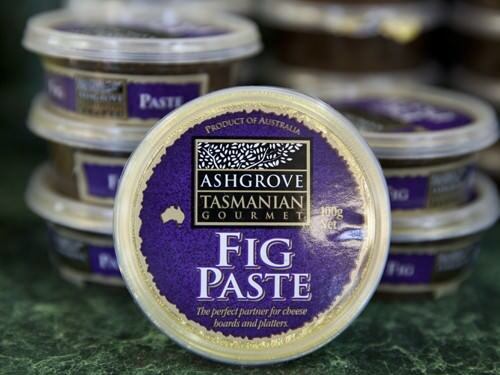 Igor found the Tasmanian cream and butter perfect for making the highest quality chocolates and commenced The House of Anvers Chocolate 1989. 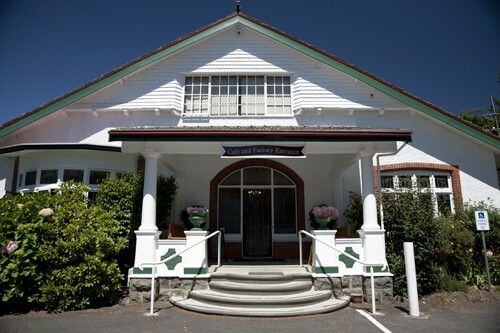 Located at Latrobe, Tasmania, the property is formally known as “Wyndarra Lodge.” The 1931 Californian bungalow houses the House of Anvers Cafe, the chocolate making facility and the Chocolate Museum. 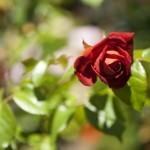 It’s set on 1.12 hectares and much of the property contains graceful old trees and beautifully coloured roses. 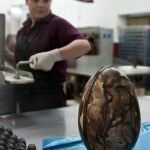 Our first stop was the viewing windows to watch the couverture chocolates being made. 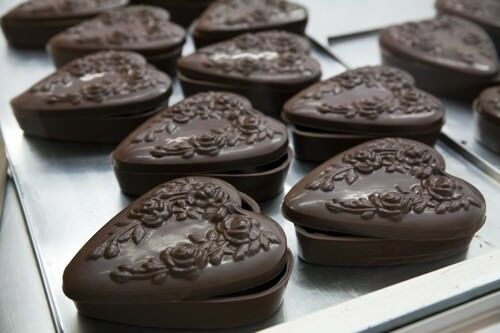 We were able to see the chocolatier making chocolate heart shaped boxes for Valentine’s Day. These boxes would later be filled with more chocolates. 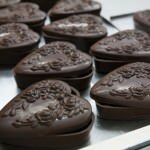 It was explained that all Anvers chocolates are made completely by hand, so for an event like Valentine’s Day there will always be a limit to what can be produced. 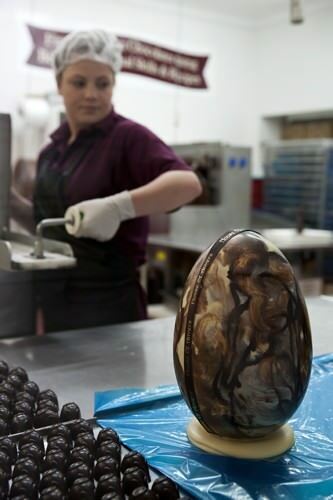 With Easter coming up Anvers staff were busy making specialty Easter Eggs. 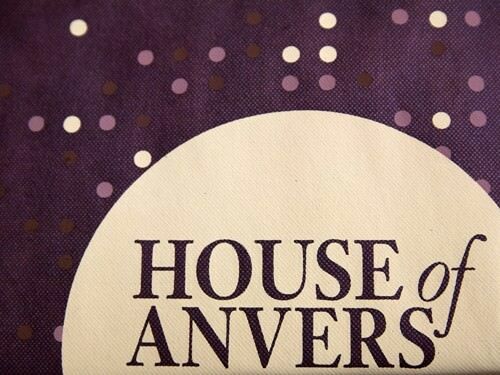 Unlike most commercially produced chocolate there are no preservatives or colours in any Anvers products. 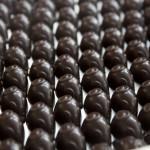 Anvers Chocolate contains just three ingredients, cacao butter, cacao liquor and sugar. For this reason most of the range is also gluten free although Anvers are not marketing this way as yet. 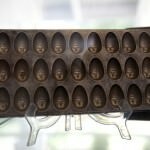 Attached to the cafe is a museum which celebrates the history of chocolate. 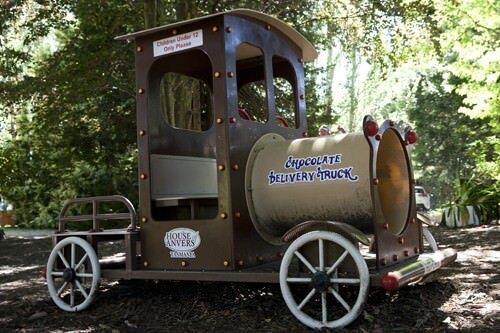 The museum takes chocolate connoisseurs on a journey from the Aztec Indians through to modern day chocolate. 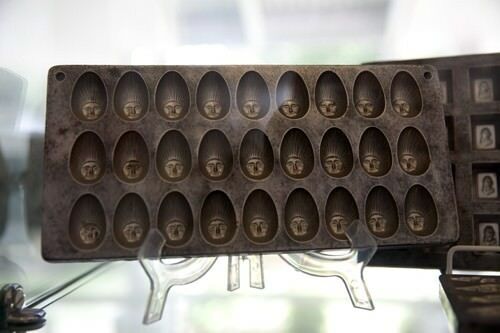 On display were a variety of antique chocolate moulds and an almost life size chocolate statue of an Aztec Indian. 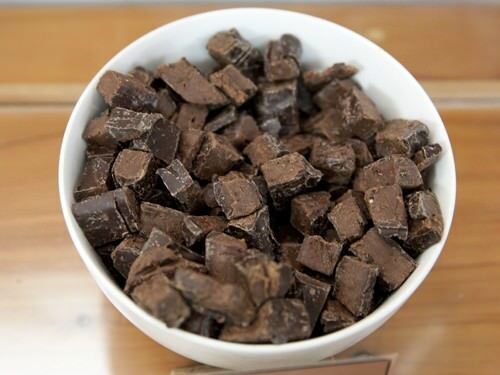 The most important part of a chocolate tour is the tasting. Inside the tasting centre we found a host of delicious chocolates to tempt us. 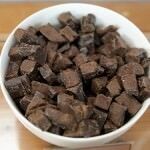 There were six different types of chocolate available for tasting that day and the bowls were BIG! All tastings are free of charge and I really had to wonder if they ever had a problem with customers or children over indulging. 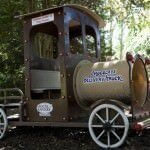 I knew I was going to have trouble controlling myself the minute the heady, chocolate aroma hit me. 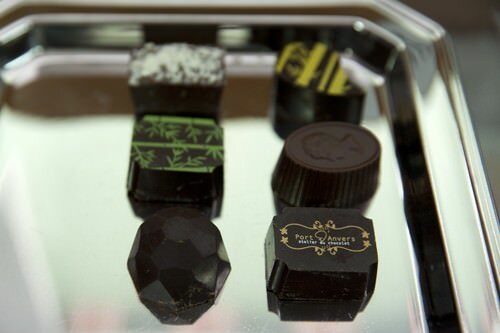 Anvers produces three types of Belgium chocolates, the fudge, the truffle and the praline. 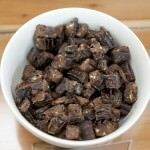 The first chocolate I tried was the Belgium style fudge. These fudges came in a variety of flavours such as cappuccino, orange, vanilla and hazelnut. 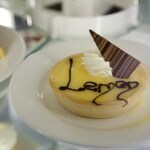 Each of the flavours were amazing! 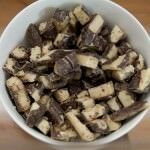 The fudge was so creamy and full of real flavour. 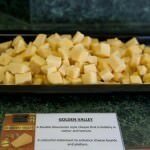 It was explained that only quality natural ingredients were used in the fudges, and definitely no artificial flavours or colours. 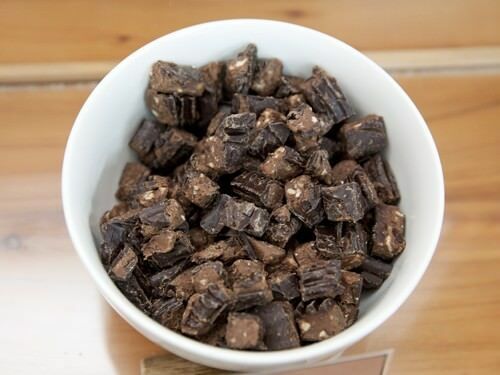 The Hazelnut Fudge was one of my favourites, it not only contained pieces of hazelnut but the fudge was made using hazelnut oils to give an even nuttier flavour to the chocolate. 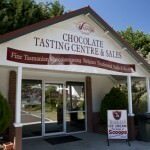 Wandering around the tasting centre was like being a child in a toy shop, all the Anver products were on display and available for purchase. I still had some gifts to buy so I took the opportunity to choose a few of the boxed chocolates for family. 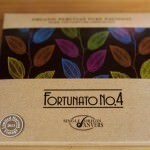 Then I was told about this very special chocolate called the Fortunato 4. This dark chocolate is licensed to only four elite chocolatiers in the world. 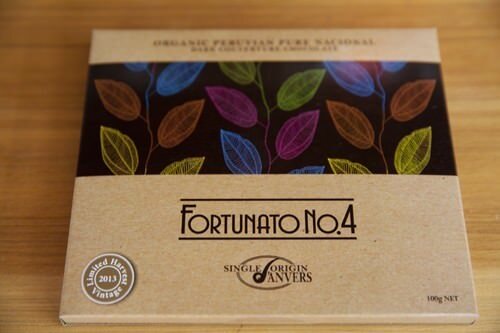 Fortunato 4 is officially the worlds rarest chocolate because it comes from a white cacao bean that was thought to be extinct over 100 years ago. Four years ago this special tree was rediscovered in Peru. Harvest is an annual event and I am told that Igor will be traveling to Peru to be present for this years harvest. So what does this chocolate taste like. 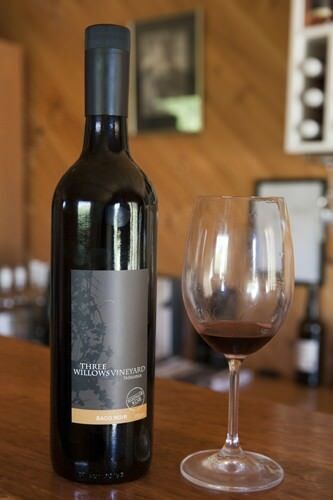 It is sublime, the chocolate flavour is intense and it has a rich floral, fruitiness. 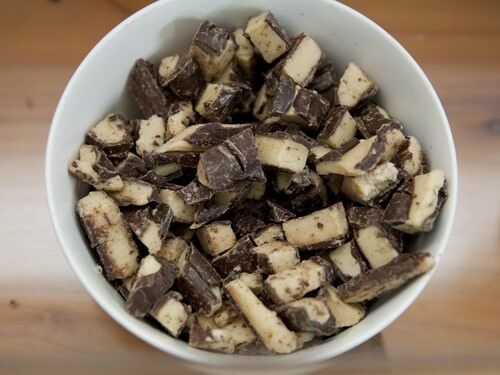 There is no bitter aftertaste and the chocolate melts to liquid in seconds once in the mouth. It is simply unique! 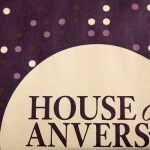 In case you are still needing something more to eat after all the chocolate tasting there is also the House of Anvers cafe. The cafe has seats both inside the Bungalow and outside in the garden, it was a beautiful day so we chose to sit outside. 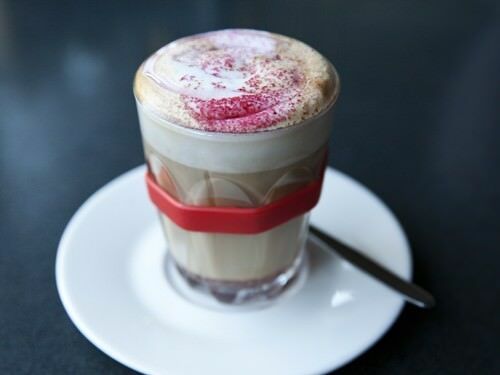 The menu includes a Belgian breakfast, a light Tasmanian lunch menu, a range of teas, espresso coffees and the house specialty, hot cocoa in a wide range of flavours. 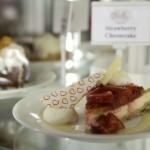 …and of course chocolate, chocolate desserts and more chocolate. 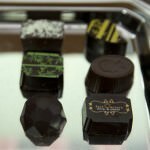 We couldn’t resist trying a few more chocolates, they tasted every bit as good as they look. It was nearly lunchtime but obviously we weren’t the least bit hungry. I suggested to hubby that it seemed like a reasonable hour to try some wine tasting. 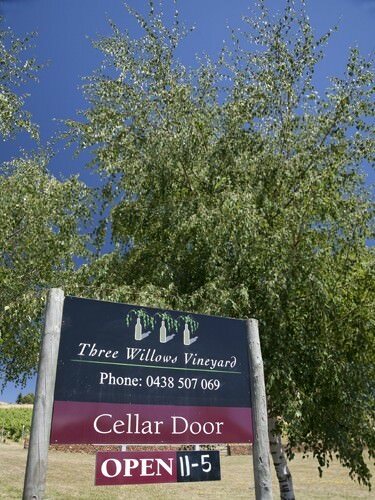 I consulted the Cradle to Coast Tasting Trail app once again and found Three Willows Vineyard was just down the road. So convenient! 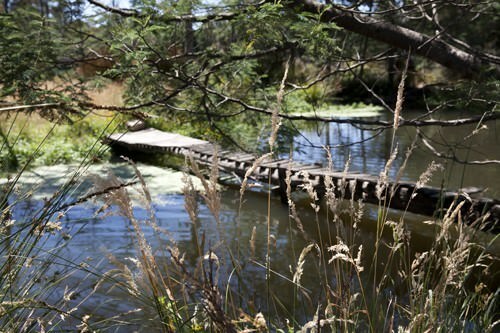 The Tasmanian countryside is so beautiful and lush, and the Three Willows property was no exception. 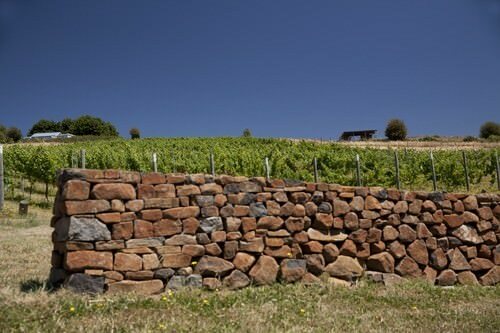 Hubby stopped so I could take a photo of the beautiful, green, vine covered hill and stone wall. 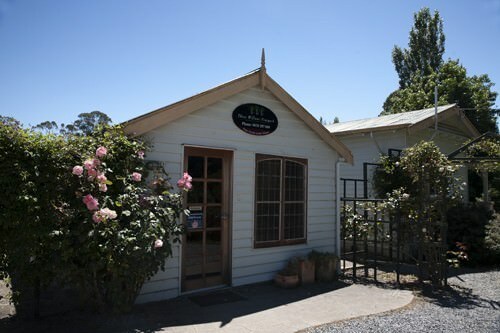 The cellar door was located in a cute little cottage covered in a blooming rose bush. 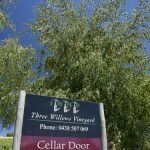 Three Willows produces four wines, a Rose, which wasn’t available for tasting, a Pinot Gris, Pinot Noir and a Boca Noir. 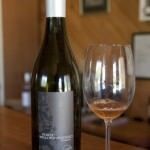 The Pinot Gris was very much to my liking crisp, spicy and refreshing. 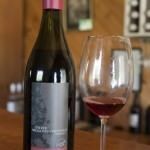 We tried the Pinot Noir which was a light pink colour and full of berry flavours. It would make a very easy drinking wine. I am sure husband was wondering how much more we can fit in the car, especially since this is day one of our Tasmanian Tasting Tour. 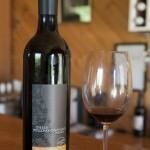 The final wine on tasting was a Baco Noir which had been named “Le Batard” I had never heard of this grape before so I mentioned this to our host. 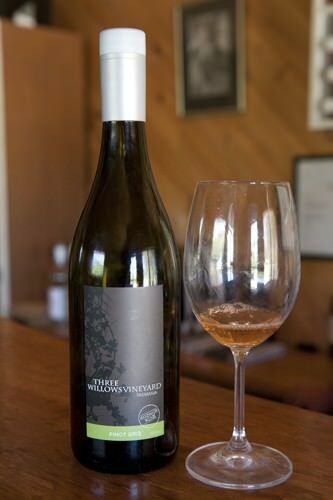 He explained the grape is a French-American hybrid which was bred in France in 1894 to combat Phylloxera. 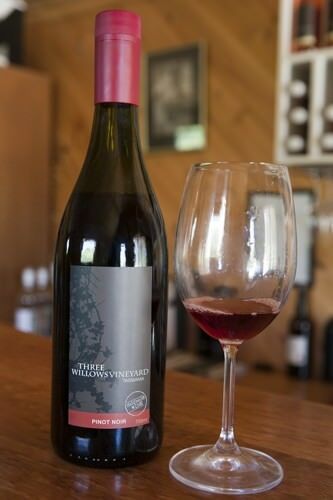 It’s mostly grown in the American wine regions now and suits a cold climate. The name refer “Le Batard” refers to the mixed parentage of the wine. I found it to have an earthy Italian style, robust, red feel. With just enough time for one more stop we decided to visit the Salmon and Ginseng Farm. Whilst dining on Spirit of Tasmania I ordered the Salmon dish which had been sourced from 41 Degrees South Salmon Farm. It was so deliciously moist I was looking forward to trying some more of their products. We started the tasting with hot smoked Atlantic Salmon fillets that were bred on the farm, marinated in a brine and the hot smoked over Tasmanian Blackwood shavings. The resulting meat is moist and flaky with a delicate smokey flavour. The Smoked Salmon Rillettes is a spread made by combining 41° South smoked salmon (50%) and a blend of butter, yogurt, spices & Tasmanian mountain pepper. This was added to my shopping trolley as was the 41° South Ginseng Honey. 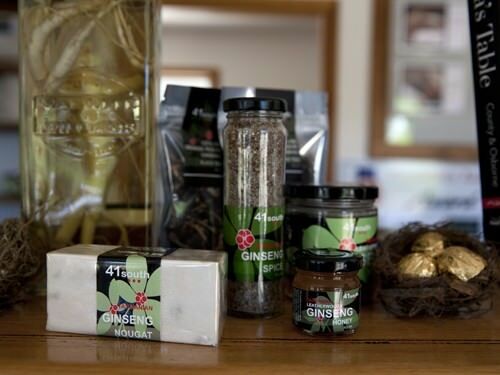 The Ginseng honey was delicious, it was made with leatherwood honey which had been infused with the farms ginseng. After a day filled with driving and consuming food, we welcomed the opportunity to wander about the property. 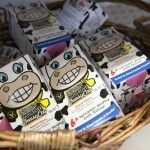 41° South provides brochures for guests to take a self guided tour around the farm. 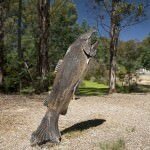 There is the opportunity to feed the salmon along the way and walk to a waterfall . 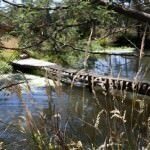 The Tasmanian landscape is so pretty and the temperature is perfect for bushwalking I enjoyed taking pictures of the lakes, wetland and rickety wooden bridges. 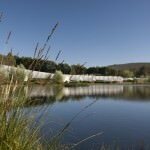 41° South re-established the wetlands as a filtration system for the Salmon ponds. 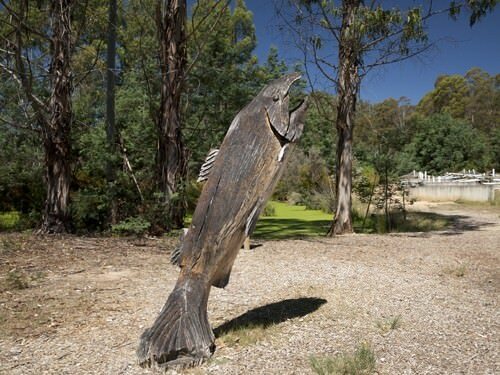 They used native Tasmanian species of flora and fauna such as grasses and reeds. 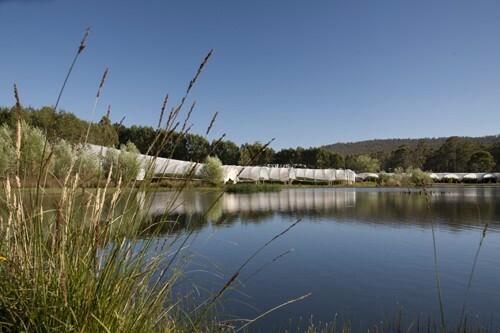 The property is now home to many species of birds and a platypus. The wetland reeds, bushes and trees are truly established now and do their job purifying the water and providing a stable environment. 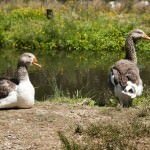 The geese on the farm also look very well feed. 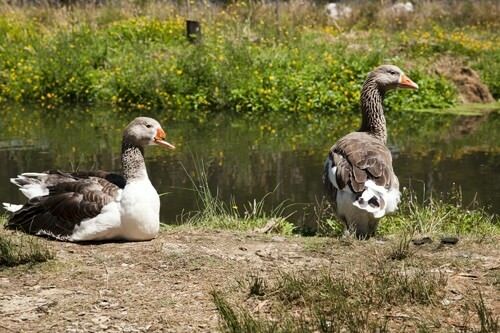 I don’t think it’s an accident they chose to rest at the Salmon feeding pond. When I tried to feed the salmon I was harassed by one and eventually ended up feeding them both! 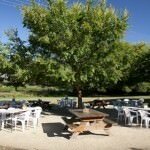 There are currently 20 producers on the Cradle to Coast Tasting Trail so we could have kept visiting vineyards, breweries and other tasting venues for at least the next 3-4 days. 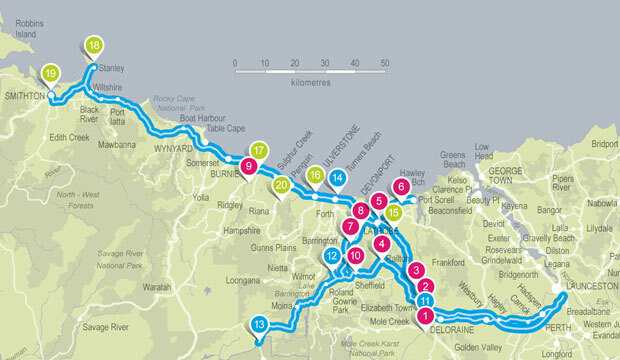 We only managed to visit 5 before it was time to call it a day and head down the highway towards Hobart. 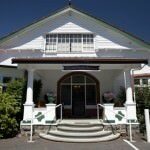 Gourmet Getaways would like to thank Spirit of Tasmania, Christmas Hill Raspberry Farm, Ashgrove Cheese, House of Anvers Chocolate, Three Willow Vineyard and 41 South Salmon & Ginseng Farm for their generosity. As always the opinions contained in the story represent my true and honest thoughts of my experience.